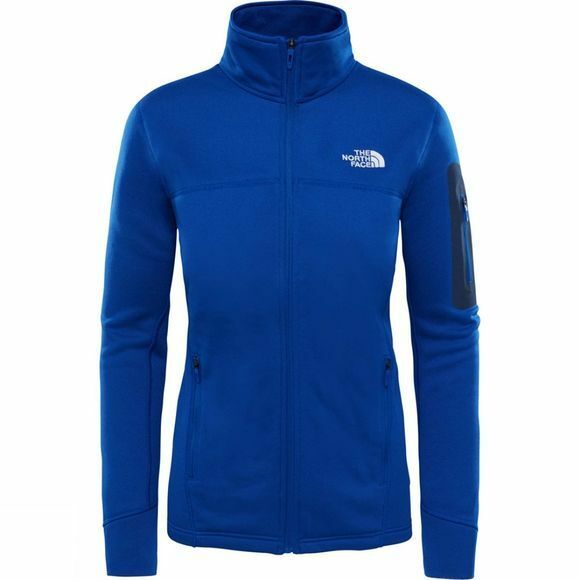 The Womens Kyoshi Fleece Jacket from The North Face is a lightweight, breathable mid-layer that is designed for the intensive trips up into the mountains. Made from Polartec Power Dry, it offers excellent moisture management and wicking capabilities that keep you more comfortable for longer. With two hand pockets and an extra one on your arm, there is plenty of room for all your essentials.